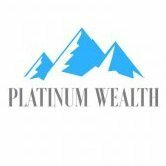 @platinumwealth will you guys be showing their data on here as well? Will Zar X be a listed exchange like the JSE? ZAR X, an independent new South African stock exchange, accused the JSE on Monday of ulterior motives in appealing the decision of the Registrar of Securities Services in August last year to approve its stock exchange licence. Judge Louis Harms chairs the Financial Services Board Appeal Board that heard arguments from the JSE and the other appellant 4AX, and counter arguments by ZAR X and the Registrar. 4AX is also an aspiring stock exchange that was recently licensed. The JSE earlier announced on December 8 that after engagement with 4AX it had withdrawn its earlier appeal against the Registrar’s decision to approve 4AX’s licence . ZAR X CEO Etienne Nel has since accused the JSE of noncompetitive conduct and laid a formal complaint against the JSE at the Competition Commission. The hearing on Monday took place with only a month to go before the February 28 deadline set as a licence condition for ZAR X to start operating. Harms asked what the effect would be if his ruling were only made shortly before or even after that date. He said he might have to make an appropriate order in that regard, to which none of the parties objected. Counsel for ZAR X told the Appeal board on Monday that the JSE’s appeal is “nothing more than an attempt to stop competition”. He called it “nitpicking of someone on a fishing expedition” trying to set aside a potential competitor’s licence and pointed out that the JSE has had a monopoly for years. Harms responded that motives don’t matter if there are solid grounds for the appeal. Both the JSE and 4AX argued that the Registrar erred in its initial failure to make ZAR X’s full licence application available to them. Harms pointed out that failure pertains to an earlier licence application that ZAR X withdrew and that the parties later got the outstanding documents. He further put it to them that they apparently suffered no prejudice as a result of the failure, since they made no amendments to their appeals after they had an opportunity to study the documents. This, the appellants argued, does not detract from the fact that the process the Registrar followed was materially flawed. The JSE further objected to what it described as ZAR X disabling itself through its own rules from monitoring market participants for compliance. It argued that over and above compliance functions within market participants, ZAR X itself should have a structure to exercise the monitoring function placed upon it by the Financial Markets Act. ZAR X’s power to waive admission requirements are too wide and unlimited, the JSE argued. 4AX argued that there were procedural irregularities in the awarding of the licence and the Registrar failed in his duties in terms of the Act. The exchange argued that ZAR X should have the financial ability to do the monitoring of market participants on behalf of the Registrar, but that the rules fail to provide for it. It rejected ZAR X’s argument that the function was outsourced and that such outsourcing was permitted. 4AX said ZAR X was in fact avoiding its obligation and retained no capacity to exercise this obligation. 4AX also objected to what it considers to be wide powers given to ZAR X to reverse transactions on request of the issuer, without giving the investor an opportunity to respond to the issuer’s request. This, 4AX said, is open to abuse and will result in market uncertainty about the finality of transactions. ZAR X responded that the rules relating to the reversal of transactions should be read in the context of BEE shareholding. The exchange would create a platform for qualifying individuals to trade freely in such shares. Issuers would define the qualifying criteria for such investors in their Memoranda of Incorporation (MoI). If the issuer notifies the exchange that someone who does not qualify for ownership of such shares in fact made a purchase, the exchange would merely implement the issuer’s MoI by reversing the transaction. ZAR X said the waiver of admission requirements would occur only where it relies on outside certification to satisfy the requirements. It happens all the time all over the world and there is nothing sinister about it, ZAR X argued. All parties concluded their arguments. The JSE’s belief that the Financial Services Board (FSB) did not follow the rules when it decided to grant a stock-exchange licence to newcomer ZAR X was plainly wrong, the regulator argued before the FSB appeal board on Monday. On the first day of the hearing, lawyers for the FSB said the JSE and 4 Africa Exchange (4AX) were given sight of all public documents they sought and it was not understood why they lodged the application to appeal. The JSE and 4AX are jointly appealing against the registrar of securities services’ decision to grant ZAR X a stock-exchange licence in September. The JSE has said it welcomes competition, but would like all participants to compete on a level playing field "bound by the same set of rules and in an environment in which important issues of public policy have been settled; issues such as regulatory standards, systemic risk and investor protection". Counsel for the FSB argued that the application was at heart a market-compliance issue. Yes, ZAR X will list on their own market, but there there is no immediate details and will happen when the time is right. Here is an update also an overview of how ZAR X will work and what they are going to offer. All investors will have a free custody account held directly at STRATE which means all securities are held in electronic form and makes it much easier for a client to move their broking account from one broker to another but the custody account at STRATE remains yours at all times, one account number for life. This is intended to drive a better service culture with brokers instead of competing on brokerage rates which is a race to the bottom and not sustainable. In terms of the financial market Act (FMA) all investors must trade using a broker or market participant as ZAR X calls them. On our market the stock exchange sets the brokerage rate at 1,5%. I know that its more than what some people may be paying on the face of it, but we charge all our fees based on percentiles and there is no R150 basic charge and there is no custody fee, which at the lower end of the market makes a big difference. Once we have been running for a while we undertake to review our fees and introduce a sliding fee scale. We also intend launching an app which will let people trade from their phones. The development on the app began last year and thus far the functionality is still quite basic, he hope to add lots more functionality in the next few months. Our first listings will be Senwes and Senwes Beleggings with BKB and TWK following shortly thereafter. We have been approached by two JSE listeds wanting to transfer their listings to us, but that is still early days. We now await the judgement from the FSB appeal board to see what the outcome is. The question nobody has been able to answer is to what extent are, the appellants in the matter, colluding and to what extent have the respective boards of directors sanctioned this particular action? We are speaking to them about their data and API so far so good, will keep everyone up to date, but in short yes come hell or high water they will be included on the forum. Thought they weren't going to function as a trading platform but in that post they say they'll have an app allowing one to trade?! I just hope they market this right so that more people know about them come launch time, otherwise it's going to be an uphill battle. "In terms of the financial market Act (FMA) all investors must trade using a broker or market participant as ZAR X calls them. " From their response they say you must have a broker, so its clearly not a just a trading platform, maybe these guys have cooked up some hybrid solution....could we find out from them ?? I think they will be a exchange like the JSE is, but will probably have a spin off sister company that acts as a broker, an umbrella company maybe? Either way would be neat if they can join here. Yesterday’s FSB Appeal Board judgement dismissing the consolidated appeals of the JSE and 4AX against the FSB’s granting of an exchange licence to ZAR X allows ZAR X to proceed with much needed financial market innovation. The exchange will focus on facilitating investment and savings for ordinary South Africans and providing business with a more efficient and cost effective method of accessing capital. The FSB judgement awards full costs to ZAR X. It follows the final hearing in a series of four JSE appeals against the licence, beginning in 2015. ZAR X chief executive officer Etienne Nel. ZAR X promotes financial inclusion further by enabling ordinary South Africans to access the stock market at a minimum cost and with limited barriers to entry, encouraging a savings and investment culture. By allowing for zero safe custody fees, ZAR X gives people in the unbanked sector an opportunity to grow their investment base in a cost effective manner with relatively small investments. They will pay fees only when they transact. The monopoly's true colors showing. Good thing I sold my JSE:JSE shares hehe, I think this new addition is incredible for the future of South Africa, we need more money flowing into the country. I know we are all hyped about the launch of ZARx , however, now that I think about it, wouldn't this dilute JSE investments ie:... people going half JSE and half ZarX ? I read with interest in the Business Times yesterday that ZAR X will be offering live prices on their website !!! Interesting times ahead, one has to wonder what their platform will look like and if you need to subscribe with a monthly fee in order to trade. Hopefully it breaks the monopoly the JSE has and brings costs down. Maybe one of them will give a big FU to the JSE and provide live prices for free of charge! It's true I lost trust in the JSE knowing what they did in order to stagnate growth of this country and the underhanded tactics they used. The JSE’s apparent double standard in its dealings with potential competitors is puzzling. It paints the bourse as a bully that responds only to the force of the regulator.